We all know and love The Pioneer Woman. Her down home style and easy, approachable recipes have made her a hit on both the internet and on the Food Network. She has a ton of cookbooks, and even has a kitchenwares and home accessories line. The line is chock full of great colors with a fantastic vintage-retro feel. And it’s so affordable that you don’t have to feel guilty about a splurge. We’ve rounded up some of our favorite pieces from her home decor line that we think you’re going to love. 1 The Pioneer Woman Cooks: Come and Get It cookbook. 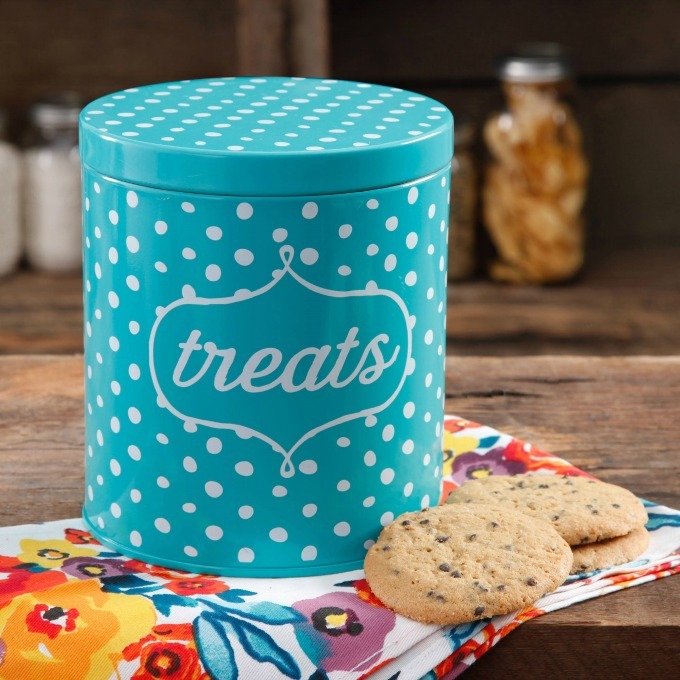 9 Adeline Glass Cookie Jar – Available in this fab pop bottle green shade or clear. 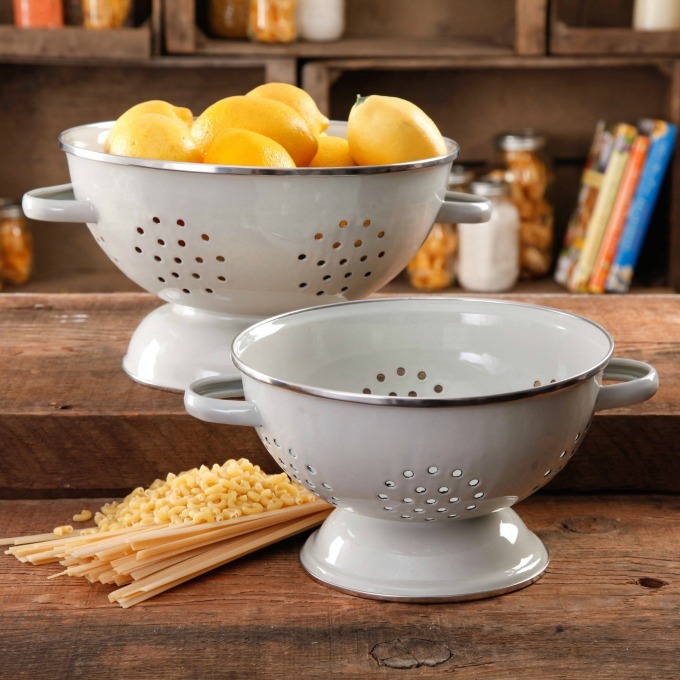 17 Vintage Metal Colander 2 Pack – Available in 3 fun colors. 18 Charlie Cookie Jar – Perfect for the Basset Hound lover! 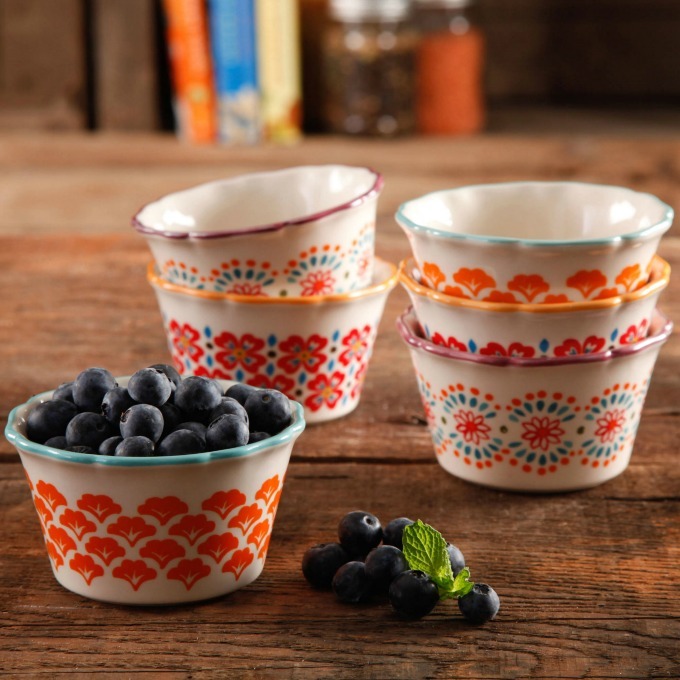 Aren’t these Pioneer Woman kitchen items fantastic? And there’s really something for everyone, whether your personal aesthetic is Country Chic, Retro Vintage, or Totally Modern. Don’t forget to pin this post to save it! There is some very beautiful pieces. I particularly like the cookie jar. 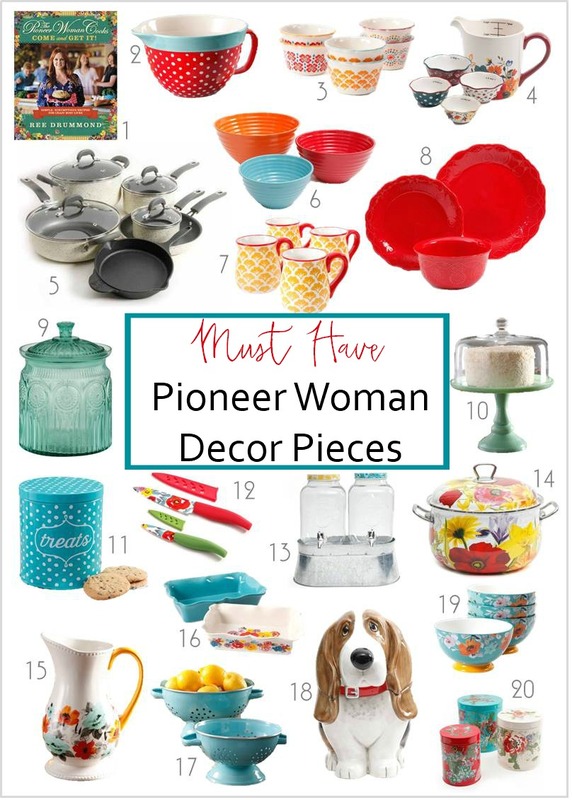 But of course most things that the Pioneer Woman likes are great and needed by someone. No matter if you are a traditionally country person such as myself or if you are a more modern person!